The essence of this ancient Daoist Qi Gong practice from the White Cloud Monastery is to bring yin and yang together. Man has two halves—one remains in the Universe at birth. When these two halves come closer through this practice, longevity is achieved. 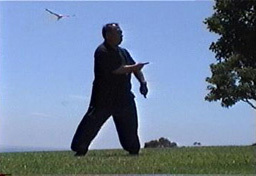 The 9 Palaces practice represents the highest achievement of the ancient Chinese Daoist tradition of Qi Gong. 9 Palaces is an extremely powerful form comprised of specialized breathing techniques, movement and visualization, which draws Yang Qi from the Sun. 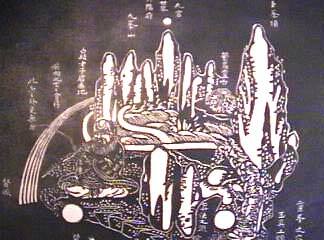 Qi (chee) is life-force energy, which not only flows through the human body but through all of nature. The practice is known as the 9 Palaces since its very specific signals open communication with the 9 levels of Heaven and open all of the 9 palaces of the body, the doors through which the energy of the Sun can enter. 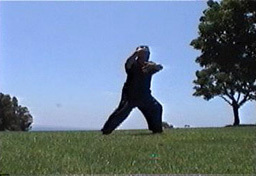 This Qi Gong gathers the solar power in a way much more influential than just being in the sunshine. The combination of the sunlight and the Qi in the air as you exchange a language of gestures with the Universe is the best way to replenish your energy and to achieve longevity. As man consumes himself like a candle, this practice recharges him like a battery. There are 9 degrees to the 9 palaces. The Rainbow Body, a reflection of the highest aspect of this practice, is how the body becomes Qi when a Master leaves this world. Dr. Wu witnessed the Rainbow Body of his teacher, Du Dao Zhang, whose body disintegrated and disappeared in a cloud of red smoke as a ray of ligh t was seen in the direction of the Sun. Dr. Wu’s teacher told him that if he were to forget everything else, the 9 Palaces would be the most important knowledge to retain. Throughout its 1000 year long history, the White Cloud Monastery has been at the hub of China's cultural development in Daoist philosophy, Traditional Chinese Medicine, Qi Gong and the martial arts. Advanced Qi Gong practices were traditionally kept secret, as only initials were allowed to practice the culmination of a vast esoteric body of knowledge. Dr. Baolin Wu is one of the highest initiates of the White Cloud Monastery.